These terms will expire at the conclusion of the 2019 AGM. The Executive Committee now comprises the office-holders plus Michelle Carvell, Rodrigo Leiva Neumann, Kylie Hughes, Joachim Quoden and Ed Cordner. All current office-holders and Executive Committee members opted to run for re-election, as allowed under GlobalPSC Rules, with the exception of Tom Ogonek to whom we give our appreciation for his service. In accordance with the GlobalPSC’s Rules, nominations for office-holders and other Executive Committee positions were open until 14 December. No additional nominations were received. The WEEE Forum seeks to be at the coalface in the work against climate change through the development of a world-renowned WEEE (waste electrical and electronic equipment or e-waste) knowledge base with tools, data and intelligence concerning the e-waste sector, in Europe and globally, and thanks to deep involvement in reputable projects around circular economy, (critical) raw materials and collection and proper treatment of electronic waste. The WEEE Forum is a not-for-profit association of 36 WEEE producer responsibility organisations (PROs) in Europe and globally. It was founded in April 2002. 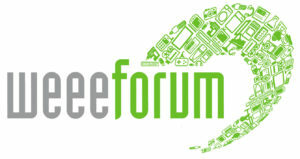 The WEEE Forum is the largest organisation of its kind in the world. Over the years, PROs in the WEEE Forum have acquired substantial know-how on the technical and operational aspects of collection, logistics and processing of e-waste. Since their foundation, the producer responsibility organisations of the WEEE Forum have collected, de-polluted and recycled or sent for preparation for re-use 19 million tonnes ofe-waste. Further details are available here. Highlights of the WEEE Forum 15 Years On are available here. The National Stewardship Action Council (NSAC) is a 501(c)4 non-profit organization that collaborates with public and private stakeholders to advance product stewardship and extended producer responsibility (EPR). NSAC is a network of committed proponents comprised of governments, nongovernment organizations, businesses and consumers who advocate that producers fairly share responsibility in a circular economy. An affiliate of the California Product Stewardship Council (CPSC), NSAC was formed in 2015 to replicate CPSC’s successes in California nationally and in other states. NSAC has a nine-member Board of Directors and an eight-member Advisory Board, with representation from both the public and private sectors across the United States. In 2017 NSAC sponsored and passed AB 1158 in the California legislature, a law that vastly improves the world’s first carpet stewardship program originally passed in 2010. In 2018, NSAC supported CPSC-sponsored SB 212, the first legislation in the U.S. where producers of drugs and needles are required to fund through internalized costs, an EPR program statewide. NSAC’s vision is for the United States to attain a circular economy. NSAC is eager to partner with businesses, government, the public and other stakeholders to achieve that vision. As a 501(c)4, NSAC can make donations to political campaigns, endorse candidates for public office, and lobby anywhere in the U.S.
Michael Dudley with long-time GlobalPSC Government members Sustainability Victoria collaborated with the School of Engineering and Built Environment at Griffith University in a systematic literature review of papers investigating drivers, barriers and enablers to end-of-life management of photovoltaic panels and associated energy storage systems. 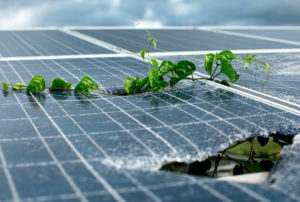 The resulting new manuscript discusses the various research trends and perspectives on current key issues and influential factors managing EoL PV panels and ESS. This work was published by the Journal of Cleaner Production and access to this work is now available for a limited time. There is also a survey available for interested parties to share their views on the top priority drivers, barriers and enablers, in order to identify trends within particular cohorts.